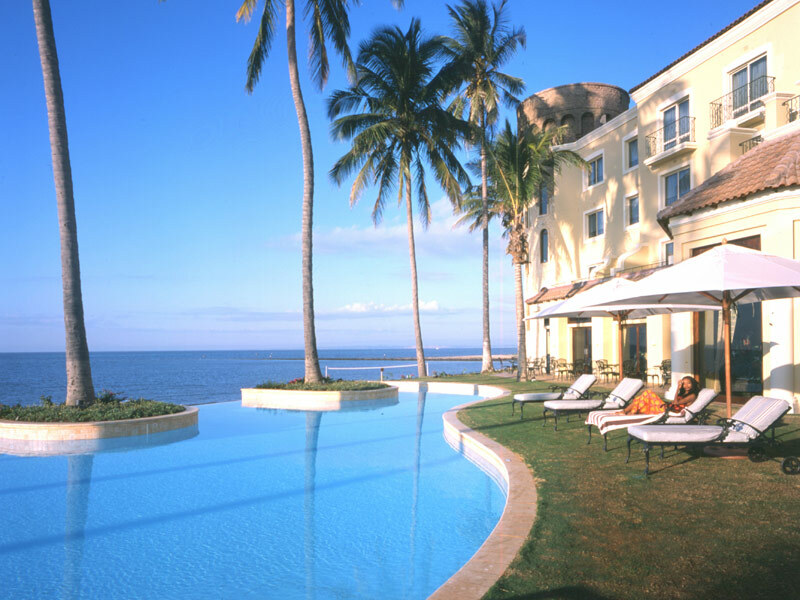 Southern Sun Hotel has the #3 ranking of the 21 hotels in Maputo by Tripadvisor. With a stunning position on the waterfront overlooking the Avenida da Marginal and the warm, turquoise waters of the Indian Ocean. The hotel has a convenient location just 7 km away from the Maputo International Airport, making it a popular stopover for leisure and corporate travellers. Find out what the hype is all about when you choose this Mozambique hotel which has 269 elegantly festooned rooms, many of which offer breathtaking sea views. There are 5 room categories, all equipped with modern conveniences for a hassle free stay. Business travelers will appreciate the 2 fully-appointed conference rooms. Guests are spoilt for choice with 3 dining options serving a range of buffet and a la carte dinners plus light meals. To escape the heat of the sun, guests can take a dip in the pool or reinvigorate at the day spa. Click here for more information on Southern Sun, Maputo. The position of this exquisite hotel on the waterfront is what we like the most about this top Mozambique property. There’s nothing more refreshing than waking up to great sea views and the efficiency of the staff is very impressive. Include the Southern Sun Hotel in your itinerary when you book your packages to the Quirimbas and Bazaruto islands today.